NASA being the mark of excellence producing great opportunities to live a better and more advanced life technically! Its quite good to see that after successful missions of “Spirit and Opportunity” the NASA has developed another vehicle to continue MARS mission and the most impressive thing to me is that it would a unique power system which will going to run a full martian year. I hope that scientist will develop something like ” plutonium’s radioactive decay” for generating power electricity on commercial scale. Thanks for sharing this news with us and please do share more on this in future. Great vehicle! 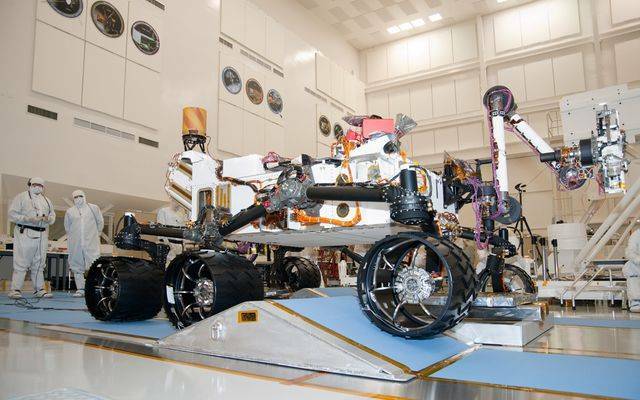 I hope Curiosity will find something really interesting on the Red planet. Sadly, today is the first day that I cannot drive my Prius in the carpool lane alone. How will I ever get from my LAX-area office to JPL in Pasadena on time for meetings? Nice web simulation of the upcoming landing plan for the NASA Mars rover – Curiosity.